They've done Balls. They've done Paint. They've done Zoetrope. They've done Bunnies. It's done Pyramids. They've done Bubbles. So why not an entire town? Yup, that's exactly what Sony, with help from McCann London did to hype the new Bravia 4K TV. 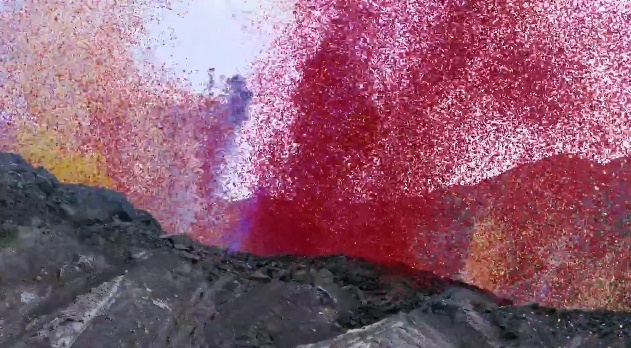 It's a wonderfully colorful epic Which results in the covering of an entire town with millions colored pieces of paper petals, biodegradable, of course. The ad is set to the track 'Berlin' which is the title of the debut release from LA-based Australian RY X. Of the shoot, director Jaron Albertin commented, "I was really excited to be shooting this ad in 4K in such an amazing location. It was my first experience shooting with the Sony F65 and when I saw the final footage, I was stunned. It just produces really amazing, detailed images. Because there is twice as much data, it looks twice as crisp which means you can see even the tiniest detail." Of course, you have to watch the ad on the new TV to truly appreciate its beauty. For now, we have YouTube.